Galaxy Note 8 will be unveiled this summer, but in the meantime, the leaks multiply and we discover today its big screen Infinity. After proposing its Galaxy S8 and S8 Plus which have been very well received by critics, Samsung should take advantage of this summer to launch its Galaxy Note 8. The Galaxy Note 8 will soon fill the gap in the range of high-end Samsung terminals since the reminder of the Galaxy Note 7 (which for its part makes its return today in Korea in a Fan Edition version ). The cliché of the Note 8 screen draws attention to the ever thinner borders compared to the Galaxy S8. The Infinity screen of the brand is particularly acclaimed for its quality and aesthetics. 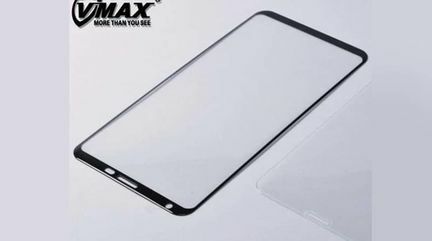 Android Headlines, which shares the shot also offers the precise dimensions of the glass slab that will protect the Note 8 screen (162.4 x 74.5 x 8.4 mm), larger than the Galaxy S8 Plus. For the rest of the characteristics expected in Note 8; One evokes a screen 4 K, a Soc Snapdragon 835 or Exynos 8895, 6 GB of RAM and up to 256 GB of storage.